The local tradition of wine to drink outside of mealtime is represented by fresh wines, light and easy drinking. Over the past 100 years, this tradition seen an increasing success of sparkling wines. The grape varieties which best lend themselves to this type of wine and constitute the basis for the production of the sparkling white DOC Venezia are Verduzzo, Glera, Pinot Blanc, and Chardonnay. 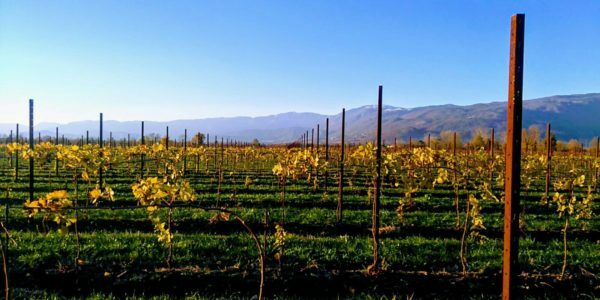 The possibility of using different varieties and different combinations of the varieties gives the grower-producer the opportunity to best express his own philosophy of production of this type of wine. More than a varietal characteristic, the idea is to let a philosophy emerge, the producer’s interpretation of the grape and its territory. The Spumante DOC Venezia contains in itself the gaiety and liveliness of Venetian life. A luminous straw yellow, it opens with floral notes of hawthorn and wisteria, which then give way to fruity notes of rennets and green apples, fresh and crisp in character; at times, according to the grape variety utilized, there are, as well, tropical notes. On the palate the freshness is balanced by roundness and drinking pleasure of a wine which refreshes and quenches thirst. When should a Spumante DOC Venezia be drunk? A wine of this type can be drunk on many different occasions, but it is certain that it is the wine of choice in convivial moments and parties. An aperitif in one of Venice’s plazas, a glass at traditional festivities or exclusive parties – these are all occasions in which the DOC Venezia sparkling wine best expresses its heart and soul. Enjoyment and merriment are just a glass away. 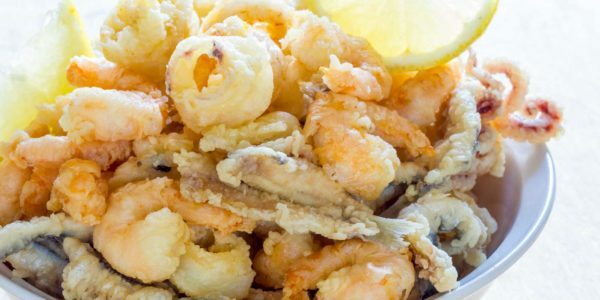 To try with Venice’s typical dishes of fried fish: from the traditional “schie” (tiny shrimp, to eat with their crunchy shells) to a mixed platter of fried shrimp, squid, and anchovies. All accompanied by a plate of polenta, cooked corn meal, never to be lacking, a typical dish of the Venetian table.